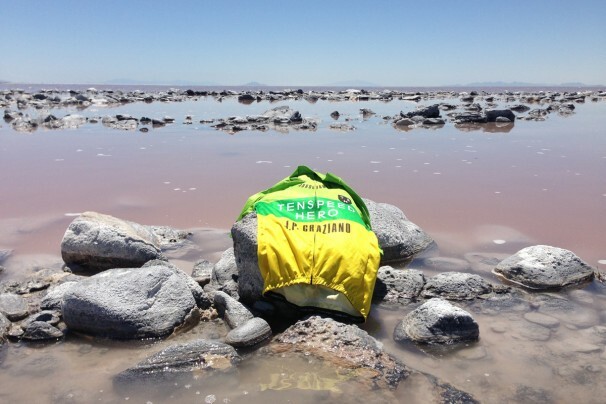 Out just a piece from where this great country was joined by the suture of a rail line in the barren Utahan country, we walked in the brine of the Great Salt Lake, gingerly tracking a path along Robert Smithson’s Spiral Jetty. I even Strava’d it for proof. What had brought us to that quiet place, with our toes in the water and herons overhead? We wanted to take in something incredible and feel the reason why Smithson located his art in that specific spot. I’m not one for new age mysticism, but there was something of a vortex centered thereabouts. At least it was the sensation or tickle of knowing the history of an area and the great human powers that make something into being. America was bridged here and the ghosts of the multitudes that built the railroad still haunt that earth. 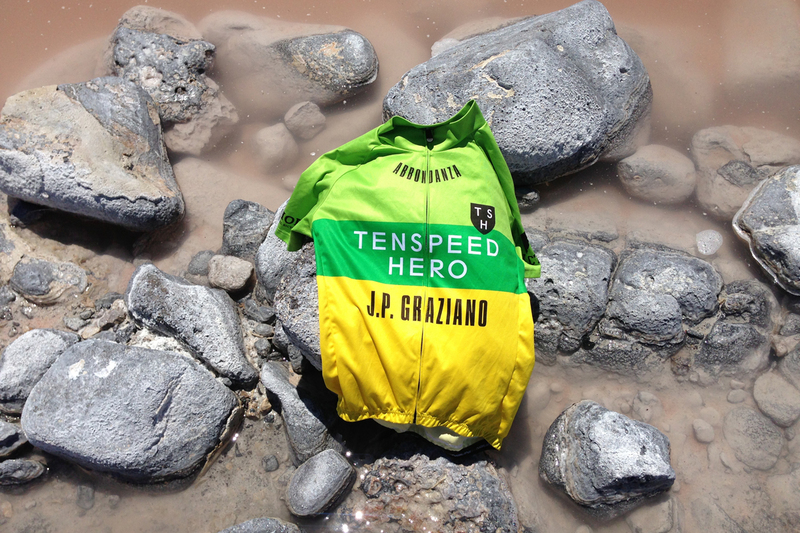 All Tenspeed Heroes are artists along a multitude of disciplines and some Heroes have a connection to Spiral Jetty through a love of land art. 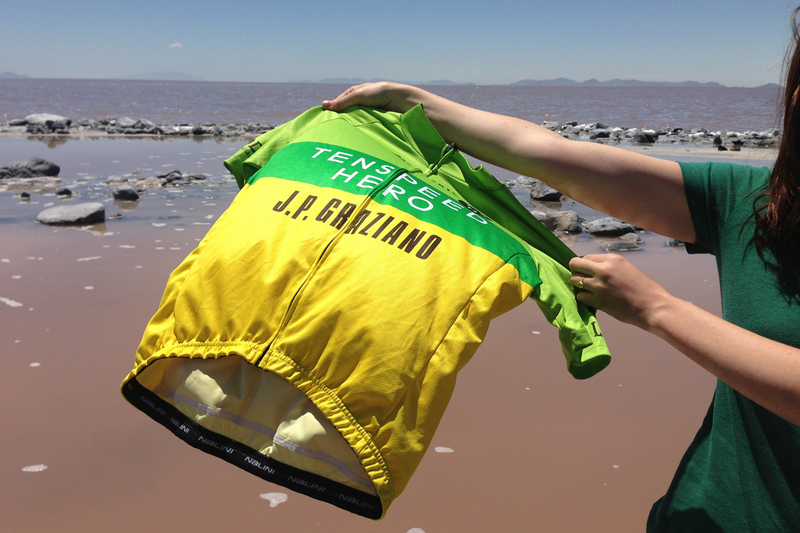 We paid tribute and dipped the 2013 racing jersey into the brine. We were passing through on my relocation from Reno, Nevada to Champaign, Illinois. In Salt Lake City, I was treated to a tour of the hills and the Backcountry.com/Competitive Cyclist warehouse by SLC local pro racer Nate King. 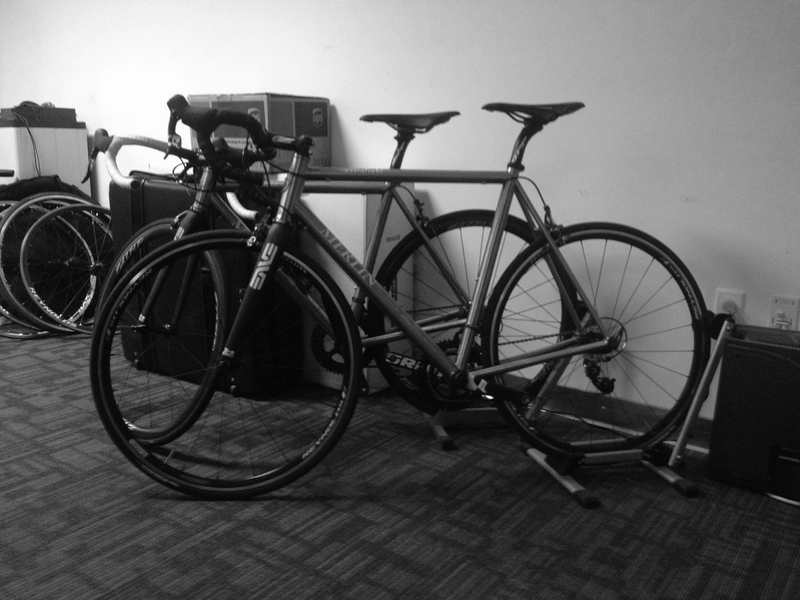 Yes, the Competitive Cyclist facility is as huge as you imagine it to be; yes, there is sweet bike stuff all over the place. At a coffee break at Nobrow Coffee Werks on our way to the warehouse, Nate treated me to a hot cup and we chatted about riding in SLC, his trip to Colombia for training, and his rising kombucha empire. 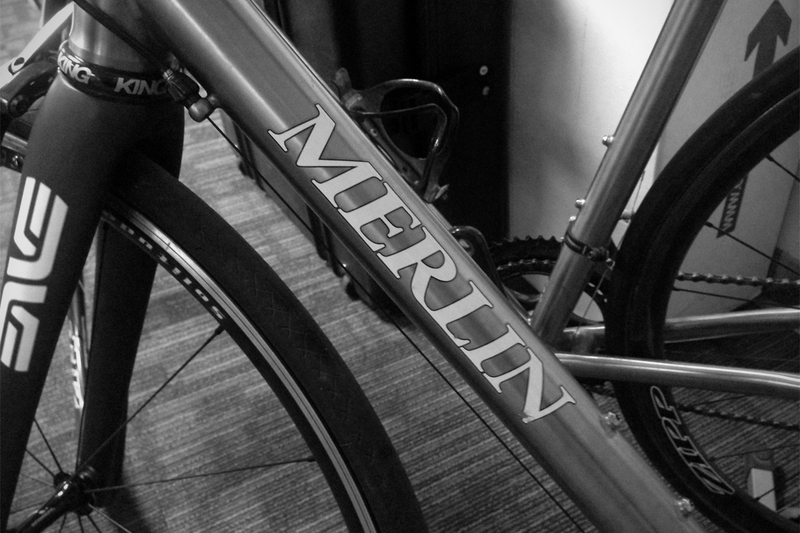 At the Competitive Cyclist facility, I got to see the new Merlins. They are incredible and heroic. You will want to acquire one. Also, you would not believe how many snowboards they have in stock. Get ready for stokage in a few months.